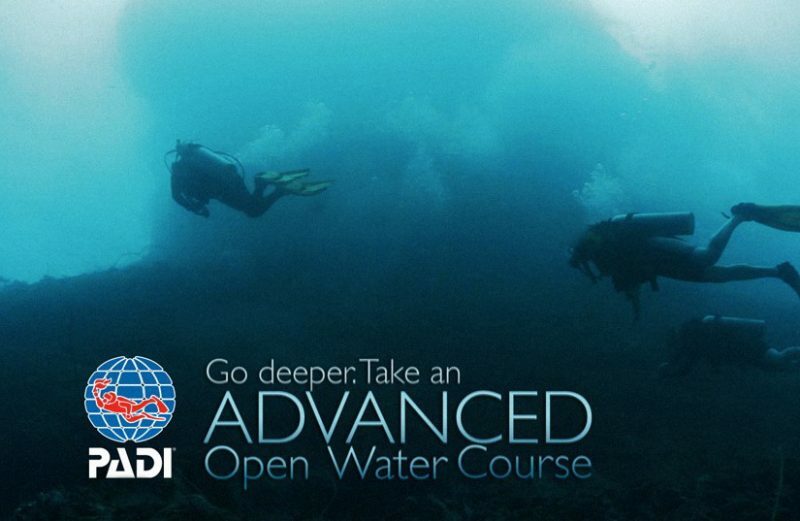 The Advanced Open Water is one of the most popular courses of PADI. After all, it is aimed at all divers who have already completed the Open Water Diver and offers a very good overview of the possibilities that your further diving career could offer. This way you can compile a part of the course according to your individual interests. In the following, we will show you the learning content of the PADI Advanced Open Water Diver. The Advanced Open Water Diver is based on the contents of the Open Water Diver. The compulsory part includes lessons on underwater navigation and deep diving. how to use a dive computer. how you use an underwater compass. In addition, you will learn a lot more – what exactly, depends on you. Why? Because you can compile some of the course content according to your own preferences! As part of the Advanced Open Water Diver, you will complete a total of five Adventure Dives. The big advantage: you can choose three of them yourself! You want to take your diving experiences home to your friends and relatives? Then starting with digital underwater photography is just the thing for you! Or do mysterious wrecks attract you magically? In this case, wreck diving is certainly a suitable adventure dive for you. In total, you can choose from 15 different Adventure Dives. After completing the online Advanced Open Water Diver course, the seven most popular Adventure Dives are still available to you. The PADI Advanced Open Water Diver Course is open to anyone who has already successfully completed the PADI Open Water Diver course. Of course, the SSI Open Water Diver also qualifies for participation. In addition, a minimum age of 15 years is required for certification to the Advanced Open Water Diver. eLearning: Save your valuable holiday time and get started immediately! Admittedly, for the theoretical lessons of the Advanced Open Water Diver, you need to allow some time. This does not have to be a disadvantage, after all, you can easily complete the theoretical part of the course via eLearning – when and where you want! Just book the PADI Open Water Diver course with DiveNow and get access to all theoretical lessons. In this way, you will remain flexible in learning, and you do not have to waste your valuable time on theory during your next dive vacation. Instead, you can easily jump into the cool water and explore the fascinating underwater world of your next dive site!